Home → Blog → How much does it cost to build or redesign a website? Certainly, today the website importance is obvious to everyone. Almost any business requires Internet representation: large corporations, small companies, worldwide enterprises... Of course, freelancers also benefit from their own online resource: the same photographers, makeup artists, and others. Obviously, a web resource is the best way of establishing regular contact with the existing target audience to find new loyal customers, promote your brand and gain a reliable reputation. So the problem about whether you need a website or not, have been solved... and the answer is positive. The question remaining open is how much does it cost to build a website? In our article, we're going to explain to you what is included in the business website development price and how to make a resource creation a profitable investment. Also, you'll find out when it’s not worth being greedy (namely, when website costs pay for themselves). If you have a site which doesn't work as it should, there is no reason in abandoning web technologies as an ineffective marketing tool. Most likely, your online resource is outdated or incorrectly designed from the very beginning (it happens more than we think). It means you must completely redo your Internet platform, improve it… although previously it would be nice to figure out how much to pay for a website redesign. Can you afford it? 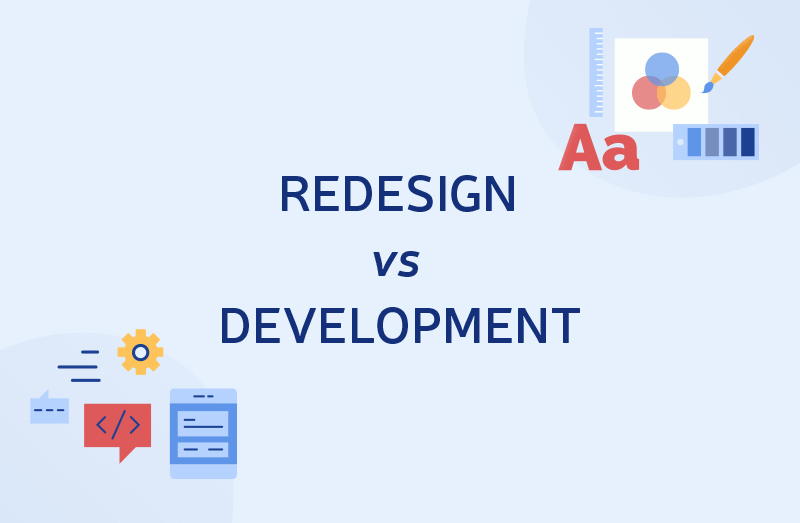 So, Redesign Vs Development from Scratch… what is the difference? Cost of building a website from scratch. It is understood that you have nothing but an idea and a desire to bring it to life, namely, to get a correctly working online resource. Cost of doing a website redesign. You have a website, but you're unhappy with its work. You want to understand why your resource is so inefficient and, if possible, improve matters. Developing a website from scratch is usually more expensive than redesigning. However, there may be exceptions: let's say if the existing online resource is in a really deplorable state and requires too complex remaking. Sometimes it's easier (and cheaper) to start from square one. It’s next to impossible to derive the average cost of developing a website. The price of the online resource isn't a constant value, on the contrary, it consists of different variables. And these variables include the requirements imposed on the web platform, the rates of your development team, complexity and priority levels, the size of the company needing online representation... each project is unique! 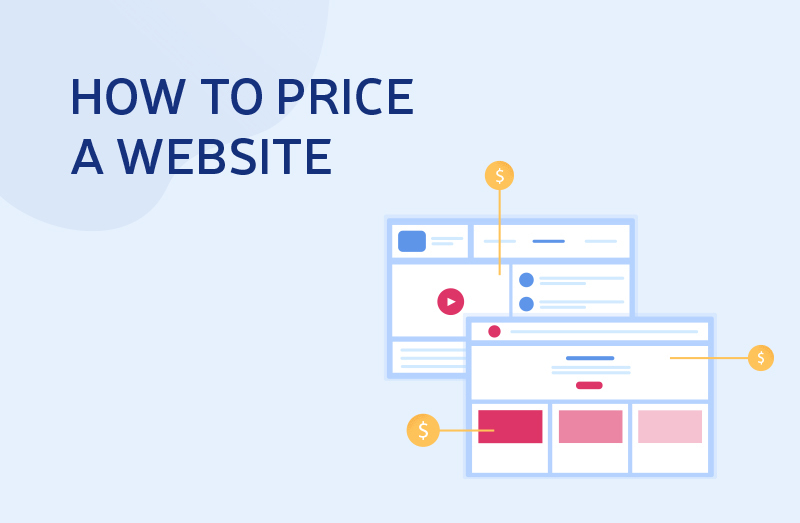 To price a website, you have to know a lot of things. Agree, it's meaningless to compare a simple online business card, a major news resource, and a video hosting portal like YouTube. And, of course, the website costs for small business and for large one would be quite different either. So, as you see, the website pricing depends on many factors which we'll examine in our article, step by step. Keep reading to find out all that matter in this regard. You’ll learn everything you have to know to answer the question: how much does it cost to build a basic website? Ready-made templates. By choosing such a simple and cheap development option, you, of course, reduce business website costs, but the result would probably disappoint you. unreliability. You can't be 100% sure a freelance designer would be able to do the job on time. Moreover, there are cases when freelancers disappear right after receiving prepayment. less variability. One specialist is equivalent to one solution, without alternatives. low quality. A single specialist is unlikely to cope with such an impressive amount of work at the proper level. Finding an expert company. The cost of hiring an agency for a website redesign (or development from scratch) is going to be quite high, but you'll be provided with a turnkey solution: an online resource created and tested by skilled diversified professionals, experts in their fields. They’ll analyze the activities of your company and your competitors, develop the site concept, define the basic parts and modules and take over the programming, content, and optimization. Naturally, the idea to create a website by your own means may seem rather tempting. But in most cases, the time spent carries a bigger value than imaginary benefits. And using ready-made templates or hiring a freelancer would lead to appearing another one typical, boring resource with potential errors which may declare itself later. On the other hand, if you’re willing to pay more, the cost to develop a website would be completely justified, and you’ll get what you want: the effective tool to grow your business. So how much does a website cost (to build it), taking into account the rate requests of specialists? It depends on the factors described below. The cost of creating the site depends, inter alia, on the company name. The more promoted the firm, the higher the price of its services. However, the exaggerated price (as it may seem) is rather explainable. As a rule, well-known companies maintain their reputation and can't offer low-quality products. That is, the probability of excellent result costs more. But this rule has exceptions, so pay attention also to the next item on our list. Reputation and experience are usually interrelated, although not always. There are cases when a little-known company has extensive experience and is fully capable of creating a quality website. Therefore, we advise you to focus primarily on the company's portfolio, it'll demonstrate the agency's achievements. 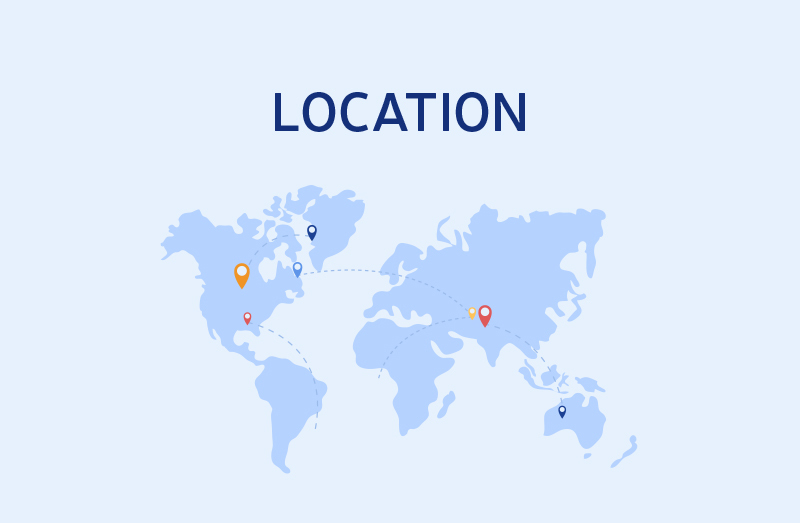 The price of services depends on the company's rate which is, in turn, affected by the location factor. If you ask an American developer: “What is the average cost to build a website?”, you'll receive an answer not similar to that given by a European expert. The situation is quite clear: the average website cost is based on the hour of work of a particular specialist (designer, developer, QA engineer, and others involved in the development process). And, of course, the rate of the American is higher than that of, say, a Ukrainian (with the same skill level). In one of the articles, we've covered the issue in detail. Read on to find out why Ukrainian web developers are such a good choice. In most cases, a lot depends on your requirements regarding the future project. Understanding what exactly you need significantly helps to figure out how to price a website. Let's draw an analogy. No one is able to give you the exact answer to the question "What is the price of the car? ", right? You’ll be asked about what brand of car it is, what engine size you’re interested in, whether you need leather interior, air conditioning, and other options. The same applies to the cost of a website. Simply put, to get a clear answer, you must know exactly what you want to have. Therefore, a precise conception of tasks your online resource is going to perform and an understanding of what functionality should be implemented now and in the future can help you reduce the final cost of your website redesign project. As we mentioned earlier, the question “How much does it cost to build a professional website?” requires you to have a clear understanding of what exactly you need: full development or redesign of the existing resource. We hope you've already decided on this issue. If so, we suggest finding out what the process of creating or redesigning the site is about. After all, each stage affects the cost of doing a website redesign (creation from scratch). Without such analysis, you won't achieve a significant result. You have to research the market, analyze your main competitors, and figure out what your website should be like. The obtained data would help both to create a platform from scratch and to reconstruct the resource which already exists. The design of the website is its “face” or showcase demonstrating the product. And, as the same showcase, it has to attract the attention of a customer and invite him to visit... So it should not only reflect the company's character but also be stylish and modern - there's nothing worse than an obsolete design! Your web resource is simply obliged to stand out from the competition sticking in the user's' memory. Uninteresting boring design made of a layman, costs, of course, pennies, but you shouldn’t pay even such a little price to create another Internet garbage. It would do you no good, believe us. UI/UX design must be developed by specialists, in accordance with the site objectives and preferences of the target audience. And if a company has its own corporate identity (corporate colors, fonts, and brand character), then using its elements in the website design is also an important factor. And only a skilled UI/UX expert can properly take into consideration all these and many other nuances. So just forget about greed when defining the cost to create a website (at least, in this very respect). Remember we talked about your project's goal? Now it's time to turn your goal into a list of features - given the market requirements identified in the first development stage. Features should be aimed at performing the desired action, whether it be buying a product, ordering services or finding information. Of course, the development of each individual module means spending money and increases the overall cost of a website redesign or creation from scratch. CMS (Content Management System) is a special administrative panel allowing even the most inexperienced user to edit the webpage without any problems. And the cost of CMS depends on the factor of functionality explained above. There are paid and free (public) CMSs (such as WordPress, for example). And paid CMS systems are also divided into ready-made and custom-unique engines written specifically for your project. This is the most expensive option with the impossibility to determine the average cost because the latter is formed by the functionality you need. Developing any CMS engine, especially the unique custom one, is the time-consuming, complicated process which cannot be cheap. There may be a logical question: is it possible to create a site by using a free CMS? Let’s say, will the WordPress website cost be as affordable as possible (though, WordPress website is by no means the only option)? Of course, WordPress website pricing might be low, but there are some nuances you should pay attention to. You see, the free engine must be installed, and installed well, so that site would work without failures. And although the script is free, its installation would result in a hatful of money, often far exceeding the cost of the paid CMS. Besides, all the CMSs use their free site templates, thus sites with the template designs and free CMS are similar to each other as twins. Thus, the availability of these management systems is balanced by their immense inflexibility. So, what does it cost to develop a website? A great deal depends on a page making stage - the process of the website revival when the design template, just a picture right now, is being converted by a coder into a fully working web resource. The experience and skills of the web developer are very important, as well as the nature of the project. Sometimes a fairly simple layout would be more than enough, and sometimes you have to hire a qualified backend developer to work on complex server logic. A website cannot serve its purpose without useful information (texts, photos, videos). You may provide your own content, of course, if you're confident in your abilities. But even in this case, it’s better to ask experts to modify the material you’re going to publish on the website. The price of preparing the content also affects the overall website development costs, but it's worth it! Creating and publishing a website is only half the battle. Don't you want people to find your web resource in search engines and visit it to get acquainted with your products and services? After all, it’ll give you an influx of new users and customers! 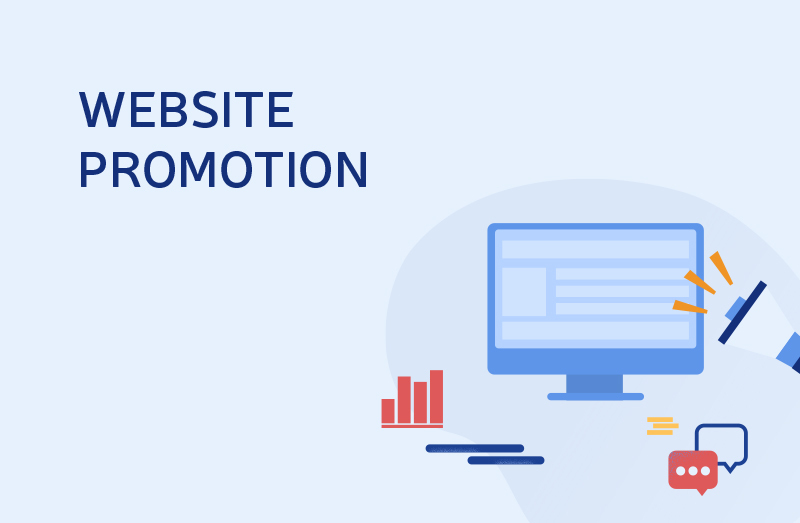 Of course, the initial optimization aimed at promotion in search systems is being performed at the stage of website development, so its price is taken into account in the original calculations. However, subsequent website optimization and promotion are carried out when needed and billed separately. This is a very important service, also influencing the price of a website redesign (or full creation) - no less important than the development of the site itself (if you want your web resource to earn you money, of course). Ideally, your site should be on the first three pages of search results, and even better - among the leaders (in TOP 10). Website promotion is an expensive project, but your heavy spending will surely be paid off. Thereby, when calculating the average cost of a website redesign or creation, consider such an important step too. The website created needs support. A web platform, not being regularly updated, is obviously "dead" and visitors choose alive resources with always new and fresh content. By the by, the search engines prefer alive sites too. That's why you should add the price of support to the cost of running a website. Such support includes resolving technical problems and updating content. Technical support ensures ongoing site operability. The content update means adding news and writing feature articles with keywords relevant to the subject of the resource. Of course, the development of the site and support of it are two different things, but if we are to discuss your future expenses, then let's do it comprehensively. Domain (the Internet address of your website). Domain registration also influences the total expenses, although not too much. There are free third-level domains and unique domains of really high cost so choose what meets your own requirements. Hosting is space on a remote server to host the website. Free hosting neither guarantees the safety of your website nor provides the ability to place dynamic pages; even worse: it makes your pages heavier with a lot of heavy and disturbing ad banners, sometimes of questionable content. Speaking of paid hosting, its price varies quite strongly depending on the chosen package of services. Answering the question "How much does it cost to create a website? ", we, first and foremost, think of where to get the money. 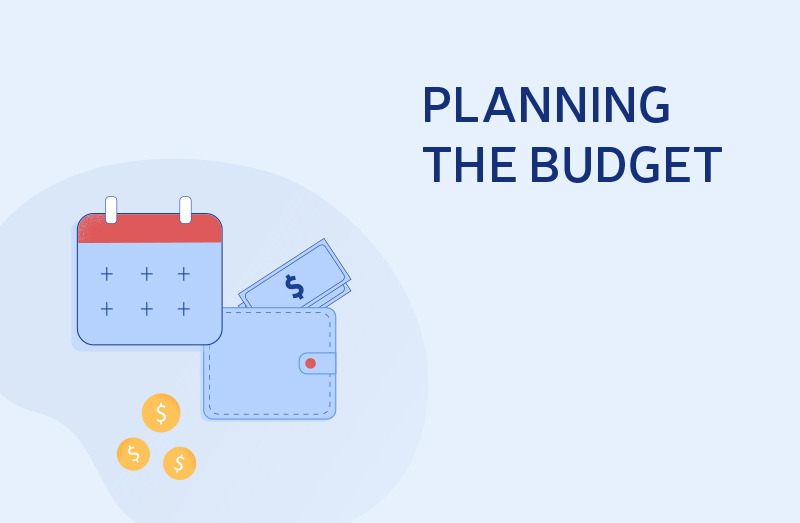 We want to plan your budget. Unfortunately, not everyone is able to spend an infinitely large amount of funds to develop the online resource; many businesses have to think of saving on the cost of building a website. So, whether is it possible to save on? When shouldn't you save on? Don't cut the budget on design. As already mentioned, the website design plays an important role in creating the first impression. A resource has only a couple of seconds to hook the visitor, otherwise, the latter will leave your page in spite of good informative component. Don’t order a website without CMS, if your goal is Internet promotion, it wouldn’t the best way to reduce your website development costs. One must update the page regularly to have it relevant, that’s why a special and easy-to-use administrative panel would come in very handy. Qualified experts would create the project with a simple structure so that you'd be able to modernize website content yourself. But if the site management requires special skills, you’ll need to hire an administrator or enter into a contract with specialists to do the job which means additional expenses. Don’t skimp on hosting. Choose the best option, powerful enough and affordable. High-speed information access, work without interruptions and problems will allow you not to lose a single customer. In addition, it is useful to think about the possibilities of future scaling in advance. Don’t economize on the services of a copywriter who can create the original website content. Search engines first choose sites with original content and 100% unique text instead of pages with information copied from other sources. The original article can significantly reduce the cost of website promotion. Unless you’re a corporation or a world famous holding company, don’t pay the advertised web studio just for the sake of image. Find the appropriate segment under your options. Don't waste money on features which won't be used. 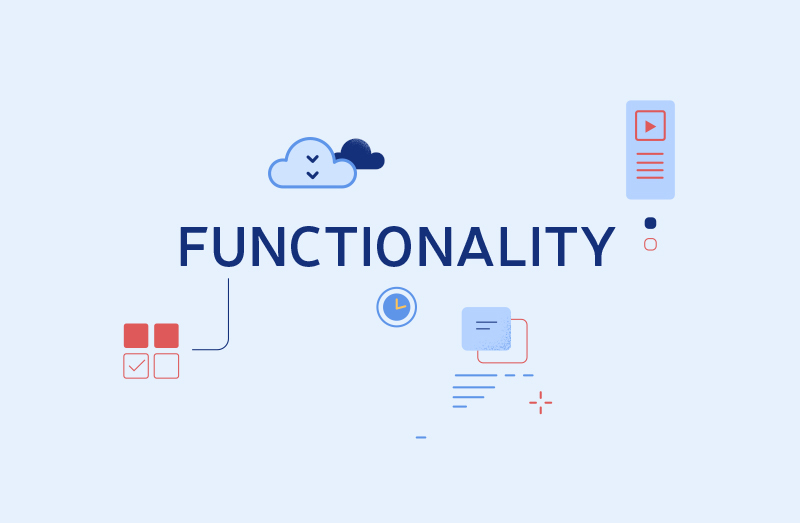 The best way is to define the minimum required functionality and order a basic resource, expanding its possibilities later, as needed (it’s about an MVP model, of course - read about it here, if you want to know more). It makes no sense to implement the website of your dreams from the very beginning. By running an online resource with a few necessary features and getting a profit from it, you can start improving it later, whenever you feel like it, with no race. Don’t overdo with the site design. Creative ideas are a big advantage but don't get too carried away: a lot of flash-movies, bright sparkling inscriptions and pop-ups may lead to an opposite result. Instead of getting interested, a potential customer just can't find the information he needs among all the special effects. Don’t overpay for urgency. Evaluate deadlines of the site development rationally, take into account all possibilities including time to test your resource and fix its errors. Hire developers with a moderate rate. American experts are good, but they’re too expensive. All of these tips help reduce the average cost of developing a website and set priorities correctly when selecting developers and preparing technical specifications. It isn’t necessary to perform your project just for a tick — try to make it as efficient as possible. After all, a professional website is the key to success in the Internet space. Okay, your question was: how much does it cost to build a new website or redesign the old one? We hope we've answered it. Now you know the essence of the website pricing and can plan your budget correctly. Keep in mind that the cost of a good website (and we mean really good!) can hardly be low. Yeah, the cost of setting up a website really matters, but resource quality matters even more. Ordering a cheap website, you're throwing away your money. In this case, boring template design, unoriginal content copied from other well-known websites, braking and software errors are imminent. You won’t get enough users, they simply won’t find your site in search engines. Having paid once, you receive a viable project which brings fame, new customers and, of course, profit. Have we convinced you? Then feel free to contact us with your development requests, we’ll be happy to cooperate!